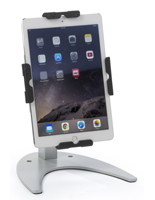 What makes iPad air stands different from other Apple tablet accessories? 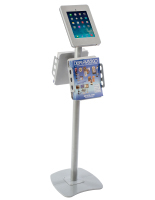 These covers and fixtures are designed to hold a variety of different size handhelds, including the latest smaller, slim handheld devices. 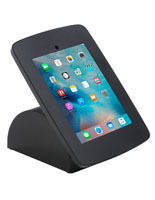 iPad air stands, also known as mini tablet display stands, retain all the functionality and accessibility of mounts for larger models, but are designed to accommodate a wider variety of tablet pc sizes. 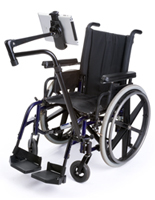 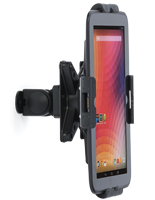 While some mounts have features that make them better tools for certain situations or specific locations, every mount is able to keep a tablet computer safe — and secure — while in use. 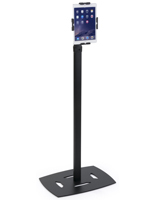 Mini iPad air stands are available in the same configurations with the same options as larger versions in order to meet the varying needs of commercial, residential, institutional and professional use. 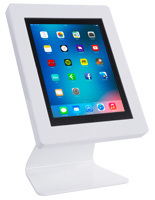 From cases with bases permanently attached to countertops or kitchen cabinets to freestanding floor displays to easily portable handheld leather folio covers, our online gallery showcases a full range of technology displays in order to make it easy to find the perfect match. 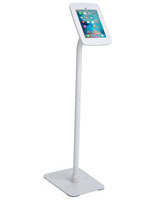 What kinds of mini tablet display stands are available? 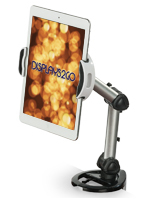 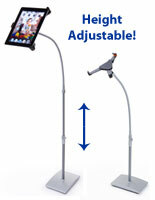 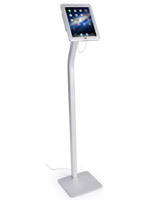 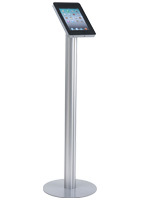 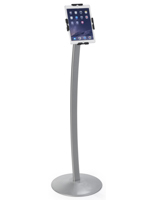 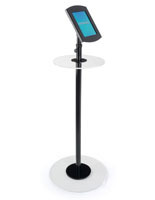 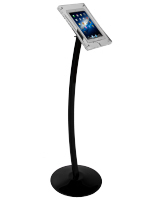 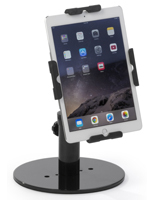 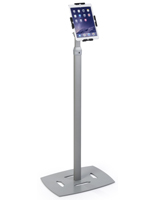 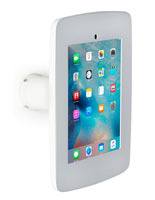 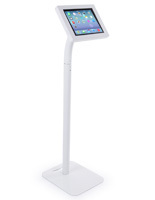 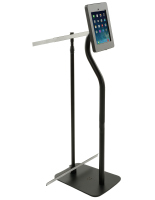 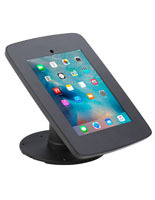 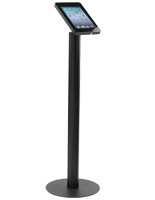 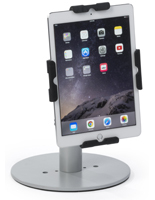 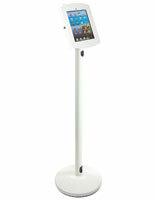 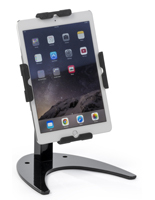 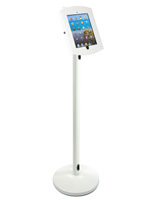 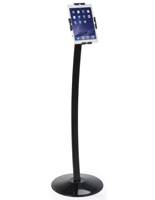 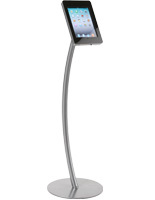 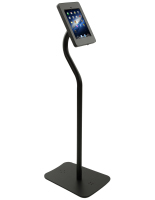 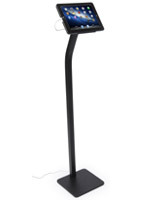 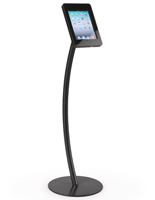 Freestanding iPad Air stands allow hands free tablet pc use in commercial, professional or residential environments. 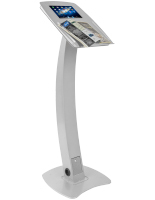 This type fixture is perfect for a number of different uses, from wayfinding stations to sales kiosks to information or music stands and recipe holders. 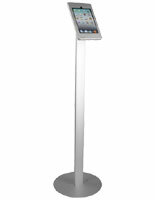 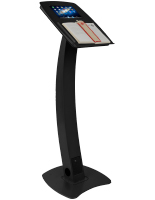 Available in locking and non-locking models, these cases range from fixed-height posts to adjustable-size kiosks. 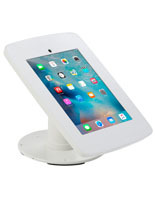 Countertop Apple mini and Air stands also run the gamut from high-security mounts bolted to counters for retail or commercial use to lightweight and portable mounts ideal for home use. 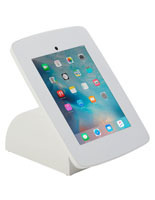 A full range of case constructions, from economical plastic to durable steel allows this type of cover to match any need or décor. 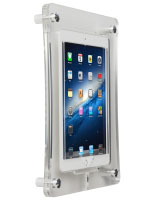 Handheld tablet pc cases also come with a choice of security options for use on-the-go. 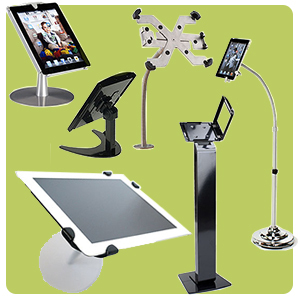 From slim covers with integrated handles for use in school or at the office to lightweight plastic frames with cable locks and multiple mounting options, these accessories come in a full variety of colors, materials, styles and sizes. 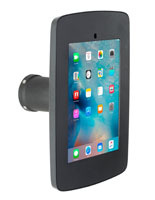 Cases and covers for smaller handhelds and tablet pcs are exactly like their larger versions in that they need to accommodate a huge variety of uses, situations, environments and security needs. 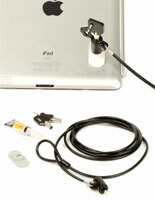 However, these slim accessories need to ensure that smaller, more slender devices remain both secure and accessible. 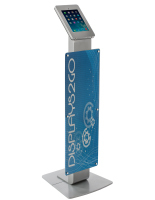 Our display stands are designed to specifically accommodate particular models and size ranges, in order to provide, in all senses, the best fit.